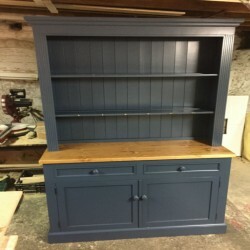 "The Kitchen Dressers is iconic of Irish Life & our furniture"
Our dressers are designed to be a stylish workhorse in your day to day kitchen life. 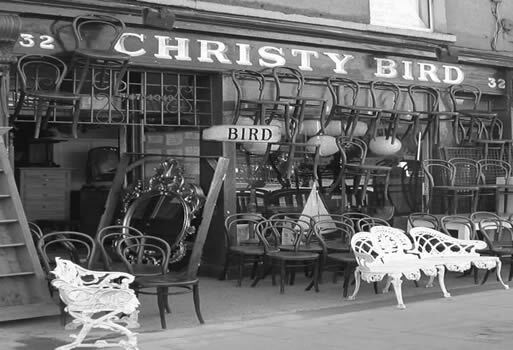 The family dresser was traditionally the place you displayed your best china, stored your worldly goods & a place to have things to hand. 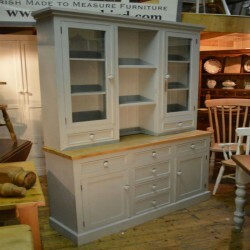 Today it can create stylish extra storage in either the kitchen, dinning or living room. 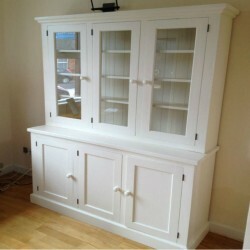 With our large selection of standard designs, we are sure we have a style and finish to suit you. 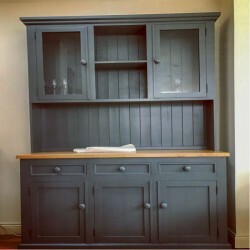 Our Waxed, stained or painted kitchen dressers, are made to order & can add a great feature for any Kitchen. 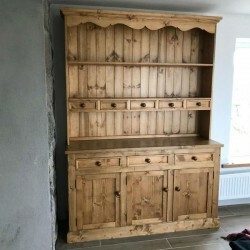 Solid pine, painted, stained or waxed traditional dressers and display cabinets. Kitchen Dressers There are 5 products.